Working in emergency rooms can be chaotic under any circumstances. Now, many emergency room workers must also contend with violent attacks against them. Massachusetts law regarding assaults on medical professionals is strict. However, it doesn’t always stop offenders from committing violence. 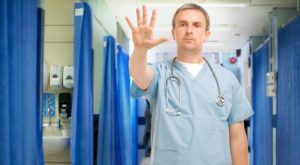 47 percent of ER doctors experienced physical assault on the job by patients, relatives of patients, and friends of patients. More than 25 percent of ER doctors who experienced violence suffered injuries. Nearly 70 percent of ER doctors reported a rise in violence on the job over the past five years. 70 percent of ER doctors who experienced violence reported that their hospitals responded; however, only 3 percent of cases result in charges being pressed. 72 percent were assaulted on the job within the past year. There is absolutely no reason why ER doctors should experience violence on the job. Yet every day, those who protect public safety risk their lives and health to earn a living. If you’ve been injured at work because of the malicious behavior of another party, you may be unable to perform your basic job functions. Additionally, your physical, mental, and emotional well-being may be so affected by a violent incident that you may need months of treatment and therapy. When this happens, you should be eligible to collect workers’ compensation benefits while you recover. However, it’s important to do so with the guidance and advocacy of an experienced workers’ compensation attorney. Filing a claim in Massachusetts can be a complex and confusing process. In far too many cases, workers with legitimate injuries are denied benefits. The Law Offices of Deborah G. Kohl has decades of experience and legal knowledge helping injured employees obtain compensation while they are unable to work. Contact us today to schedule a free case evaluation. Construction workers in Massachusetts and Rhode Island have a dangerous job that requires a great deal of experience and safety training. That’s because the stakes are so high and can easily result in a fatal workplace injury. In Massachusetts, approximately 86 construction workers suffered fatal job-related injuries over the last five years, 37 of which (43 percent) involved falls from a height. 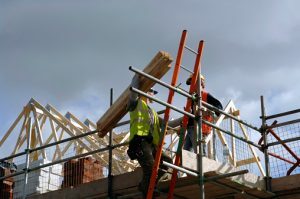 The survey also found that construction leaders are concerned about other safety challenges. 49 percent were concerned about shorter construction schedules and 47 percent believed there would be a risk for the next three years. 71 percent were moderately concerned about the risks posed by opioid use, with 39 percent being highly concerned. Falls: Out of the 991 construction deaths in 2016, 384 of them (38.7 percent) were caused by falls. Struck by object incidents: 93 construction deaths (9.4 percent) were caused by workers being struck by equipment and construction materials. Electrocutions: 82 construction deaths (8.3 percent) were caused by exposed wires. Caught-in/between accidents: 72 construction deaths (7.3 percent) were caused by workers getting caught in between equipment, structures, or heavy objects. If you have been injured on the job, you may be eligible for workers’ compensation benefits, regardless of what caused your accident. You may also be able to file a third-party claim. It’s best to speak to an experienced workers’ compensation attorney who understands the process and can answer the most complex legal questions. Contact the Law Offices of Deborah G. Kohl today for a free consultation.